Pakistan on Monday test-fired a cruise missile capable of carrying a nuclear warhead, just over a week after its arch-rival India reached a new civilian nuclear accord with the United States. 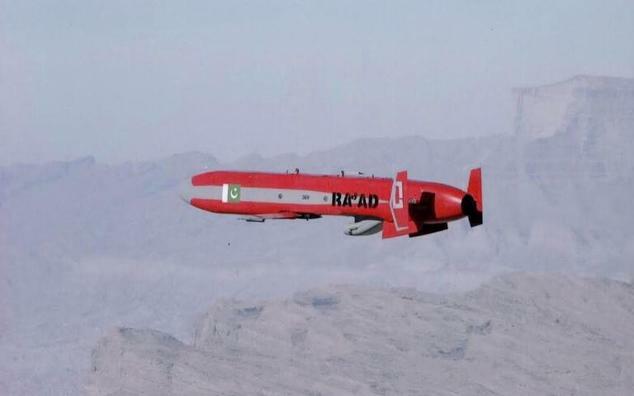 The military described the domestically-developed Ra'ad as a "low-flying, terrain-hugging missile" which can deliver nuclear or conventional warheads to targets up to 350 kilometres (220 miles) away with "pinpoint accuracy". The agreement reached during President Barack Obama's visit to New Delhi broke a deadlock that stalled a civilian atomic power agreement for years. But it drew condemnation from Pakistan, which said the deal could destabilise South Asian security. The US and India in 2008 signed a landmark deal giving India access to civilian nuclear technology. But it had been held up since then by US concerns over India's strict laws on liability in the event of a nuclear accident. India and Pakistan are both nuclear-armed in addition to operating civilian atomic plants. They have fought three wars since independence from Britain in 1947.